London is a growing city, from the most Westerly point of Greater London to the geographic centre, it has major commercial and financial institutions operating as well as an enormous residential hub. If you split London directly down the middle from North to South, the Western side is served by several major motorways, the M1 and A1M to the North, the M4 to the West and the M3 to the South West. Two other major motorways start at the junction with the M25, the M23 in the South and the M40 in the North West. The Western half of London is also served by several major train hubs, with Paddington and Marylebone station servicing the West and North West, Victoria and Waterloo stations servicing the South West and Charing Cross which is right next to the geographic centre of London servicing the South as well as the South East. From the most Westerly point of Greater London, that being the M25, to the most central point in London there are 15 road traffic bridges crossing the Thames, they are, from West to East: 13 are outside of the congestion charge zone and 2 are inside the zone. 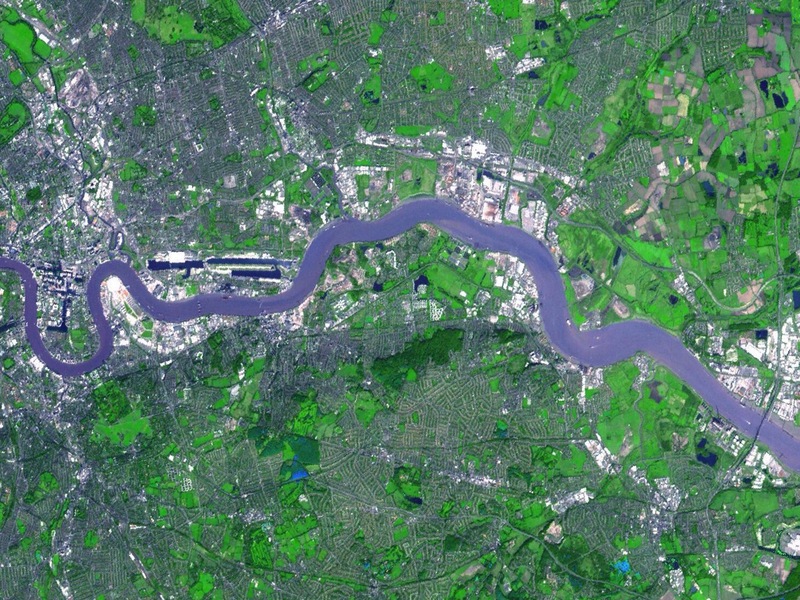 The approximate length of this stretch of the River Thames is approximately 25 miles, with the stretch between Westminster Bridge and Eel Pie Island approximately 15.5 miles. All of these road bridges have one thing in common, they are all free to use. Therefore anybody wishing to travel North or South of the Thames as well as East or West at certain points will not be penalised, they are all toll free leaving the whole of the Eastern half of London fully accessible to either sides of the Thames. Looking at the Eastern half of London a very different picture emerges. With Canary Wharf in the East as well as London City Airport, Excel and the O2 Arena, the Eastern half of the divide has become a major finance, travel and entertainement hub. The old dockyards have disappeared, replaced by housing and new commercial ventures. London has expanded Eastwards at an alarming rate, with the gentrification of traditionally rough areas highly apparent, the Eastern half of Greater London has a massive residential presence. The Eastern half of London is also serviced by a couple of motorways, the M11 to the North East, the M2 to the South East. The M20 starts at the junction with the M25 also servicing the South East. Although it has no motorway classification, the A13 from the East up to Dagenham could be considered a motorway in all but name. The Eastern half of the London division is also serviced by several major rail hubs with Euston and Kings Cross servicing the North West, North and North East of England, St Pancras servicing the Eurostar as well as sections of both the North and the South East, Liverpool Street servicing the East and North East into Suffolk and Norfolk. Fenchurch Street station provides a service in the East and Cannon Street and London Bridge Stations service the South and the South East. From the Eastern point of Greater London, that being the M25, to the centre of London with Westminster Bridge being taken as the central bridge, but being attributed to the Western half of the London division, there are a mere 8 crossing points with 1 requiring a toll to cross and 4 inside the congestion charge zone. 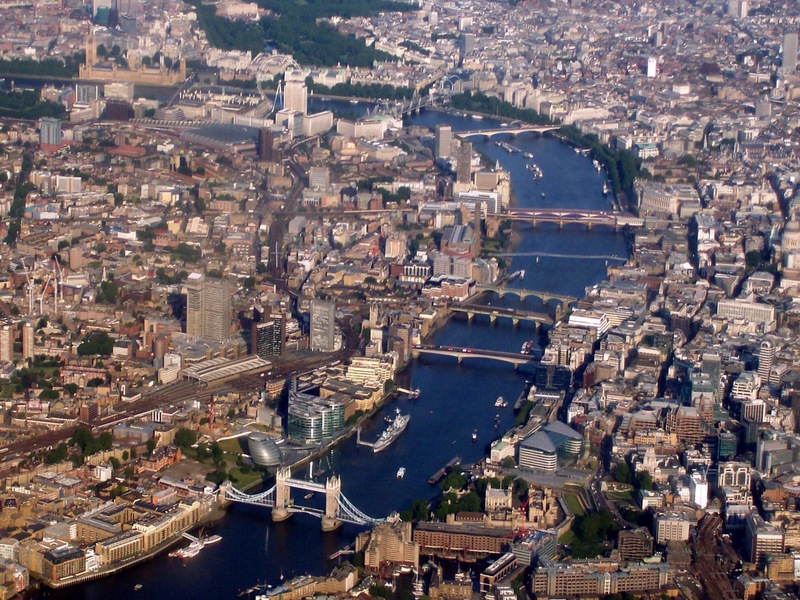 The approximate length of the Thames from Westminster to Dartford is approximately 21 miles. Therefore there is a clear disparity between the two halves of London. The Eastern side has been crying out for a new crossing for decades, so as to relieve the major congestion at Dartford, Blackwall and Rotherhithe. On the surface, Mayor Khan, stating that there will be a new crossing point to the East of London is a massively welcome announcement. This sensible and long overdue project has however been tainted by the fact that not only will the new tunnel will be a toll crossing, but Blackwall Tunnel will also be turned into a toll crossing. This announcement therefore means that out of an eventual 9 crossing points, there will in fact only be 6 crossing points that are free to cross, with only 2 of those outside of the congestion charge zone. The reduction in the amount of points that you can cross the Thames from the Eastern side without having to pay is utterly scandalous and completely counter-productive. The pressure that will then be placed on Rotherhithe Tunnel as well as the pollution will be completely intolerable, traffic will simply backflow down the A13 as drivers seek to avoid paying a toll to drive through a tunnel that has been free to use for over 100 years, they will also avoid Silvertown Tunnel for the same reason. In turn the congestion will splay out to the surrounding areas such as Canning Town and Beckton North of the Thames and Greenwich, Deptford and Rotherhithe South of the River. At this point Tower Bridge, the only other free crossing point to the East, which is a congestion charge boundary road, will become impassable. This is pretty much guaranteed because we have already reached that point without a new toll crossing, especially as Tower Bridge is a congestion charge boundary road. The pollution that this will create will be completely unacceptable. It doesn't matter how many electric or hybrid vehicles there are on the road, we are predominantly using both diesel and petrol vehicles and that is a simple undeniable fact which seems to have been ignored. When the Dartford Tunnel was built, a toll was employed to pay for the tunnel's construction. In February 1999 the Government announced that the tunnel would be toll free in 2003, however in 2001 the Government reneged on the initial agreement, as a result we are still paying a toll to cross the Thames at Dartford to this day. This crossing is used by 150,000 drivers per day, in short the crossing at Dartford is a cash cow. As if to add insult to injury Motorists crossing at Dartford are being clobbered by fines because of the lack of clarity as to how you pay the toll since the removal of the toll booths. Making the Silvertown Crossing a toll road is not really a major issue because it is a new project and will clearly need funding to the tune of over £1 Billion. This is something that whilst not particularly popular it can be understood. Turning the Blackwall Tunnel into a toll road is, quite frankly, horrendously short-sighted, there is just no justifiable reason whatsoever to do this. The default argument will be that nobody will use the Silvertown Tunnel if we do not charge to use the Blackwall Tunnel, this is of course nonsense. This act will cause serious damage commercially financially, residentially and quite possibly politically. Everybody in London should have the right to cross a piece of water free of charge, why should a river be a division and why should that division be more apparent on one side of London than the other. There is no question that there is a war on the motorist, they are being used as nothing more than a pay-pig at Governmental level. Transport for London has a massive black hole within aspects of its public transport budget, this is because of bad management across the board, predominantly within the regime prior to Mayor Khans appointment. Increasing the amount of private hire vehicles by 100% in the last 5 years was always going to have an effect on the revenue gleaned from both the bus and train network, but why should private motorists as well as all those who are using their vehicles for commercial purposes have to pay to supplement this black hole that has been created. In relation to the taxi industry in London, where does this leave cabbies, who can potentially pass through the Blackwall Tunnel several times a day. 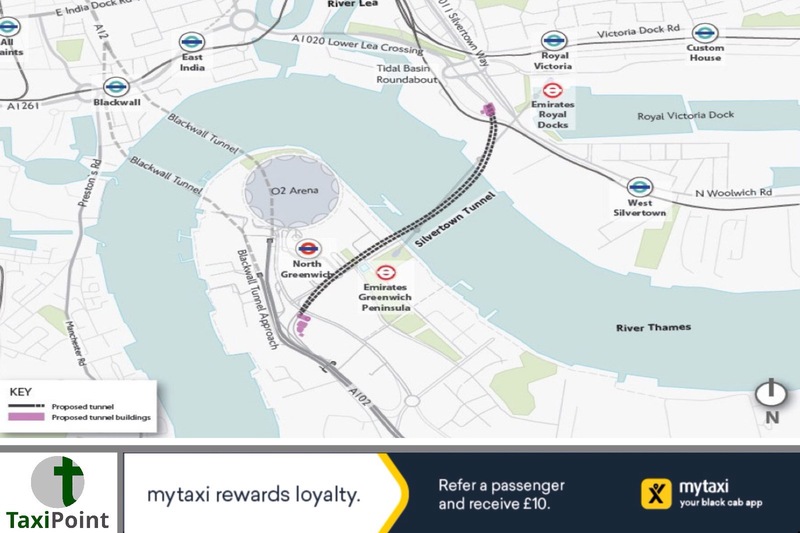 According to Mayor Khan the taxi industry is a vital part for the public transport network, therefore if tolls are to be implemented in both the Blackwall and Silvertown Tunnels, will taxis, both Yellow and Green Badge drivers be exempt from the toll. This also makes the question as to whether the 12 mile or 1 hour's journey time rule from point of pick up can be enforced. If a driver has to travel from South to North or vice versa on the Eastern side of London, a journey of maybe 3 miles and 20 minutes in length may quite conceivably end up around 8 or 9 miles but in excess of an hours journey time as drivers try to avoid the toll tunnels. Let's be clear, the whole concept of the Silvertown Tunnel is a good idea as a toll relief road, however all good ideas have to be managed correctly. Failure to do this will potentially see a massive political rebellion from the motorist, who may feel that they have been pushed way beyond their limit. Mayor Khan must understand that Londoners who live and work on the Eastern and South Eastern side of the capital must not be discriminated against because of geography. Failure to recognise this may end his tenure at the next mayoral election.